For a while now I have been trying to come up with the perfect pattern to fool those cunning triggerfish in the Indian Ocean. I like to describe triggers as an attainable permit as they can behave in a similar manner, although perhaps a little more forgiving. In the past I have had success with such flies as velcro crabs, flexo crabs, keel crabs and James Christmas’ sand prawn. 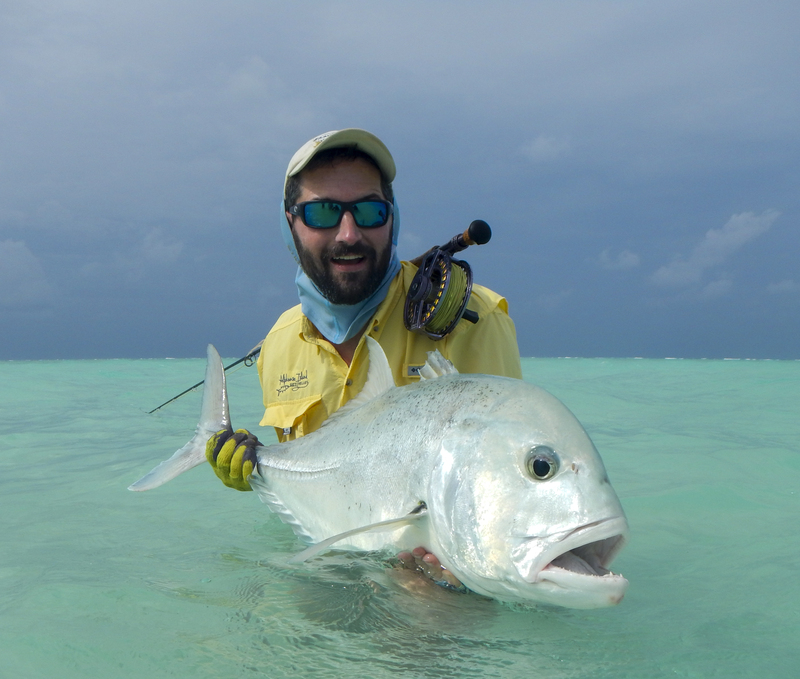 Spurred on by my forthcoming trip to the Nubian Flats in Sudan this May to what could potentially be trigger fish nirvana I decided to attack the vice in a frenzy. I thought about all my favourite attributes of these many patterns into one killer fly. The carapace had to resemble a Xantidae mud crabs or Portunidae swimming crabs in shape as these are the most common prey for triggers. They will bite them out of the coral houses they have sought refuge in, so to that end I wanted a dense formed body incorporating several colours. To achieve the effect I wished a dense crustaceous brush was the answer which could then be clipped to the desired shape. I have spun a number of different colour combinations which I think will match different environments across the world. Rubber legs made good tendrils and I have always loved their motion which tends to bewitch fish, along with some crab eyes to complete the face. Rather than go with traditional dumbbell eyes for weight I have found keel flies to not only hold the fly off the bottom with hook point up, but the beads click underwater, a sound that I feel fish tune in on. By adding a set of suede chenille claws to the pattern the illusion is complete. I recently lost a friend of mine taken well before his time. James Anderson, aka “Gumby” was a compulsive fly fisherman who over the last three or four years had embraced saltwater flats fishing with a passion. On recent visits to the Seychelles he had achieved numerous piscatorial goals including a proper flats GT of 90 cm only weeks before his passing. However the technical aspect of hunting triggerfish I feel most encapsulates his spirit and I therefore have named this pattern the “Gumby Crab” in honour of his memory. 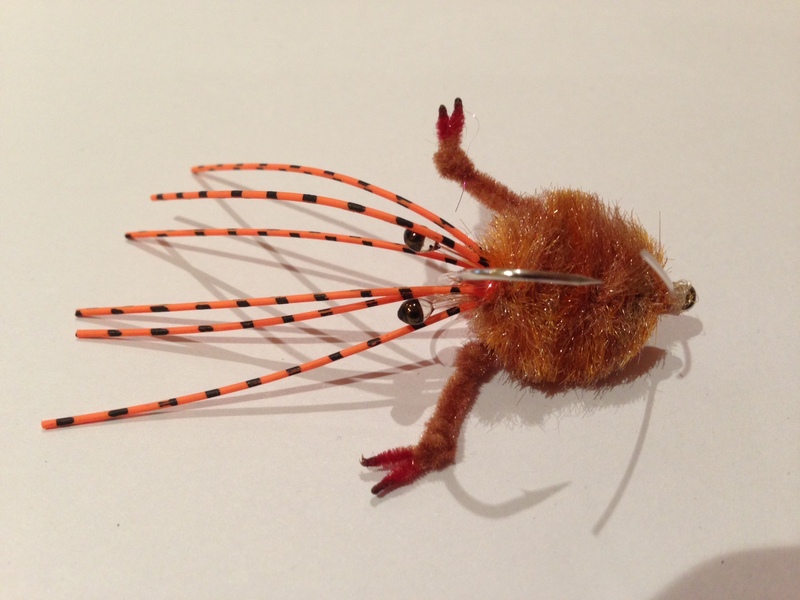 Leading fly manufacturer Fulling Mill will be producing and stocking the “Gumby Crab” in memory of James. Kieron Jenkins April 1, 2015 April 1, 2015 fly Patterns, Fulling Mill, fulling mill crab pattern, gumby, james anderson, peter mcleod, The "Gumby Crab"